Bring the kids, bring your friends, bring your work mates! Adjacent to Napier's i-SITE Visitor Centre on Marine Parade, Par2 MiniGolf's 18-hole putting courses are perfect for kids' birthday parties, special occasions with friends, or for businesses and organisations wanting to team build, challenge the competition or as breakout sessions from meetings or conferences. Par2 MiniGolf is open daily with extended evening hours in summer and for special events like Napier's legendary Art Deco Festival. 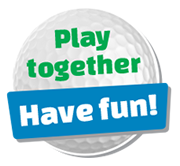 We have deals and discounts for multiple games, group rates for birthday parties, social events, schools and businesses, loyalty cards for regular players and running leader boards for the serious putters.